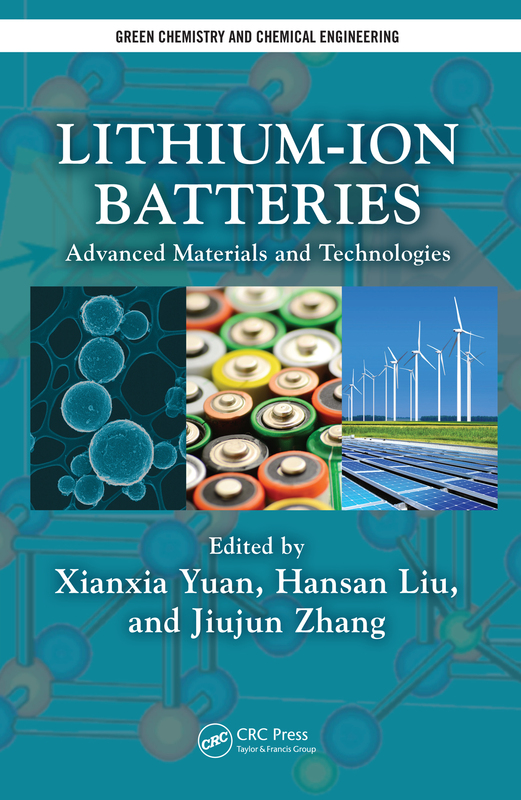 Lithium-Ion Batteries: Material Challenges and Perspectives. Cathode Materials for Lithium-Ion Batteries. Anode Materials for Lithium-Ion Batteries. Electrolytes for Lithium-Ion Batteries. Separators for Lithium-Ion Batteries. First-Principles Methods in the Modeling of Lithium-Ion Battery Materials. A Multidimensional, Electrochemical-Thermal Coupled Lithium-Ion Battery Model. State-of-the-Art Production Technology of Cathode and Anode Materials for Lithium-Ion Batteries. Xianxia Yuan is an associate professor in the Department of Chemical Engineering at Shanghai Jiao Tong University. Dr. Yuan has published more than 70 research papers in peer-reviewed journals and has led or been involved in over 20 national and international projects funded by governments or industries in China, the United States, and Japan. She has 16 years of research experience in materials and technology for lithium-ion batteries, proton-exchange membrane fuel cells, direct methanol fuel cells, and nickel metal hydride batteries. Hansan Liu is a senior research chemist at E. I. du Pont de Nemours and Company, where he is working on next-generation high-performance batteries. Dr. Liu has authored and co-authored over 70 publications. His research interests include lithium-ion batteries, metal-air batteries, proton-exchange membrane fuel cells, and high-surface area materials for energy applications. Jiujun Zhang is a senior research officer and PEM catalysis core competency leader at the National Research Council of Canada's Institute for Fuel Cell Innovation (NRC-IFCI). Dr. Zhang has co-authored 240 publications and holds patents in several countries. He has over 28 years of R&D experience in theoretical and applied electrochemistry, including fuel cell R&D and electrochemical sensors.